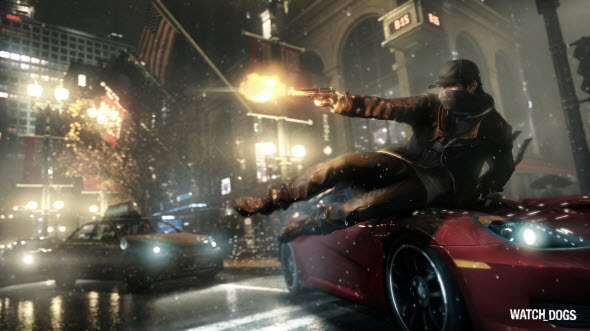 The Watch Dogs game is one of the most interesting this year's project. Today we'd like to tell you more about Watch Dogs gameplay, features and locations and show interesting video about all these things. The Watch Dogs game is an upcoming open-world action-adventure that features Aiden Pearce - hacker in the city of the future. According to the plot, the events of the game take place in Chicago. Here there is the CTOS - extremely powerful city system that combines network, mobile phones, cameras, etc. and controls everything in the city. Aiden can hack this system and so he is also a "dark guardian" of Chicago and in some way the most powerful person here. But who is he - hero or villain? The decision is up to you.